PTFXCapital.com is part of Pruton Group. Pruton Group includes PTFX, PrutonCapital.com, PT Pruton Mega Berjangka, PT Pruton Mega Global, PT Pruton Mega Futures Limited. PTFXCapital is a forex broker. 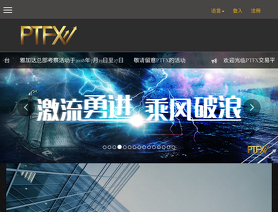 PTFX Capital offers the MetaTrader 4 forex trading top platform. PTFXCapital.com offers over 10 forex currency pairs, indices, energy, cfds, stocks, gold and silver for your personal investment and trading options.